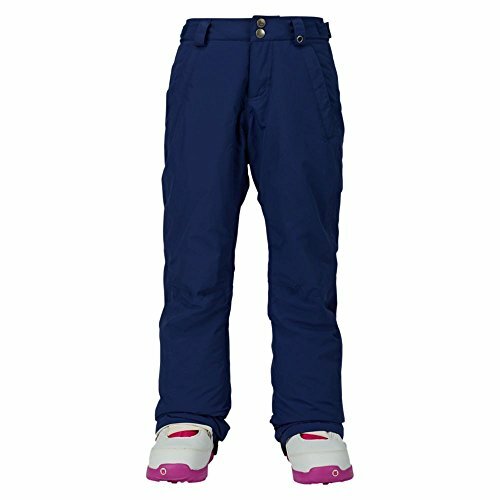 BURTON GIRLS' SWEETART PANT The best bargain out there! Value-packed warmth and upgraded weatherproofing for everything the mountain dishes out. With a stylish look that goes well with any jacket and a laundry list of kid-friendly features, plus upgraded waterproofing, the bestselling girls' Burton Sweetart Pant is your ticket to the top. Low-profile Thermacore insulation is both comfortable and light, trapping heat without unnecessary bulk. Hidden beneath the clean exterior you'll find all sorts of must-haves for the mountain like a quick-drying taffeta lining, adjustable waistband, cuff-saving Leg Lifts, and Room-To-Grow extendable legs to get from one season (or sibling) to the next. ROOM-TO-GROW SYSTEM No need to buy junior new outerwear each season with our Room-To-Grow system. A quick snip of the red stitching on the lining is all it takes to extend the length of the legs and sleeves and keep up with those guaranteed growth spurts. MAPPED WITH THERMACORE INSULATION (60G THROUGHOUT) Developed for superior warmth-to-weight, Thermacore cranks the heat without limiting mobility. We offer Thermacore in a variety of weights, and fine-tune the amount of insulation in the body, sleeves, and hood for focused warmth, enhanced breathability, and greater freedom of movement. TAFFETA LINING Taffeta offers a crisp, high-end feel that is often woven using a mix of synthetic fibers. Its unique hand feel and sheen make it ideal for printing and embossing, and like all Burton linings, it wicks and breathes easy to keep you dry from the inside out.